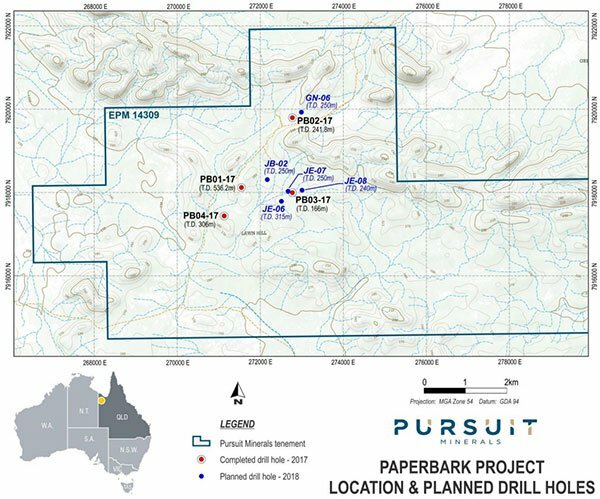 Now at the end of the wet season, Pursuit Minerals (ASX:PUR) has begun follow up drilling at its Paperbark Project in North Queensland in order to determine the full potential of the project’s JE Zone zinc system. PUR acquired the Paperbark Project, along with the Bluebush and Coober Pedy Projects from Teck Australia Pty Ltd in 2017 and has wasted no time in getting on with exploring what’s on offer. 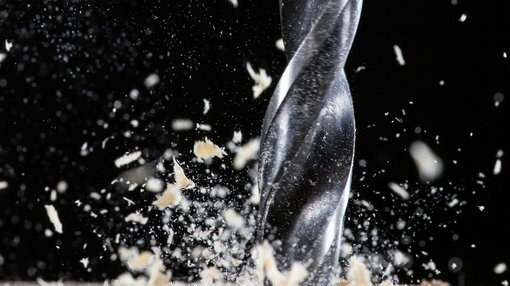 The follow up drill program is intended to build on the encouraging results achieved at the Paperbark Project last year, when the JE Zone was confirmed as a new zinc discovery and a large surficial copper system was located at Grunter North. Five holes will be drilled at Paperbark for 1325m in order to determine the extent of zinc sulphide mineralisation at the JE Zone prospect, test the down dip extent of surficial copper mineralisation at the Grunter North Prospect, and test shallow extensions of the JB Zone Mineral Resource. The first three holes to be drilled will further investigate the new zinc discovery at the JE Zone Prospect, and are targeted on determining the extent and grade of zinc sulphide mineralisation at the JE Zone. The fourth hole will test the down dip extent of surficial copper mineralisation at the Grunter North Prospect. The fifth hole of the program will test for shallow extensions to the JB Zone Mineral Resource and to determine if the zinc mineralisation at the JB and JE Zones is connected at depth. It should be noted that PUR is an early stage play and anything can happen, so seek professional financial advice if considering this stock for your portfolio. The Paperbark Project is located approximately 215km north‐northwest of Mount Isa and 25 kilometres south-east of the Century Mine in north-west Queensland. The project contains the JB Zone, which hosts a JORC (2012) Mineral Resource of 10.4Mt at 2.7% zinc, 0.2% lead, 1g/t silver at 1.5% zinc cut-off grade. The company also today released its quarterly activities report which provides a summary of the company’s wider portfolio of assets. The update on its Australian portfolio and the quarterly report comes after the recent news that PUR has secured Mineral Reservations for two vanadium projects in northern Finland and had submitted Mineral Exploration Licence applications for another five vanadium projects in Sweden. These projects in Finland and Sweden comprise a high quality portfolio of vanadium projects at different stages of advancement, containing sites of significant historical vanadium mineralisation, in areas of excellent infrastructure, with access to low cost power and in politically stable jurisdictions. Work programs are currently being prepared for the northern hemisphere summer with the objective of preparing the projects for drilling during the next winter field season from November 2018 until April 2019.